Lu, Y., Zhou, Y., Nakai, S., Hosomi, M., Zhang, H., Kronzucker, H. J. and Shi, W. (2014). Stimulation of nitrogen removal in the rhizosphere of aquatic duckweed by root exudate components. Planta 239(3): 591-603. Jiang, J., Lu, Y., Li, J., Li, L., He, X., Shao, H. and Dong, Y. (2014). 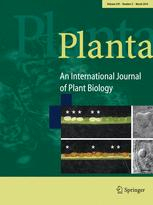 Effect of seed treatment by cold plasma on the resistance of tomato to Ralstonia solanacearum (Bacterial Wilt). PLoS One 9(5): e97753. Ying-ru, Z., Yu-fang, L., Hai-lin, Z. and Wei-ming, S. (2013). Aerobic denitrifying characteristics of duckweed rhizosphere bacterium RWX31. Afr J Microbiol Res 7(3): 211-219.